Today The Authors Guild announced that it has petitioned The Supreme Court to review its ongoing lawsuit against Google Books for illegally copying and distributing copyrighted books without the permission of the copyright holder (the author). The lower courts have ruled against The Authors Guild. My personal feeling (I realize this is kind of old fashioned in the Internet Age) is that people should be compensated for their work. And the work of the writer is as deserving of compensation as the work of – say – a person flipping burgers or a person selling derivatives of worthless mortgages. Click here if you want to read more about this important case. Here are some FAQs about this lawsuit. Why is the Authors Guild still pursuing this case against Google? Google copied 20 million books to create a massive and uniquely valuable database, all without asking for copyright permission or paying their authors a cent. It mines this vast natural language storehouse for various purposes, not least among them to improve the performance of its search and translation services. The problem is that before Google created Book Search, it digitized and made many digital copies of millions of copyrighted books, which the company never paid for. It never even bought a single book. That, in itself, was an act of theft. If you did it with a single book, you’d be infringing. I’m a writer and I like Google Book Search. I use it all the time. What’s the problem? Google Books itself is not the problem. We’re all writers here, and we generally like Google Book Search. Some of us use it for research all the time. The problem is that Google used authors’ books for profit-making purposes without first getting permission from authors. It just went ahead and copied them many times over and extracted their value, without giving the authors any piece of it. There are lots of other great commercial uses of books; the difference is that most users abide by the law and get permission. If corporations are now free to make unauthorized copies of books for profit as long as there is some public benefit to the copying, then authors’ incomes will suffer even more than they have in recent years. A truism of the digital age is: whoever controls the data owns the future. Google’s exclusive access to such an enormous slice of the world’s linguistic output cemented its market dominance and continues to this day to further its corporate profits. Isn’t Google just acting like a giant library? Not at all. Libraries are public institutions, generally non-profit, dedicated to readers and scholars. Even so, they know they have to pay for their books. Moreover, they are largely not-for-profits intended to serve the public good. Google is in the business of books for commercial reasons only; it is more like a commercial publisher than a library. Like a commercial publisher, it seeks to profit from its use of books. While Google does this in a different way, by extracting value from data (from both the books’ language as data and data collected from users’ searches), it still should seek permission for these uses because it is extracting value from the authors’ expression. But libraries lent Google the books in the first place, didn’t they? What’s wrong with that? Borrowing the books was fine, but copying them without permission or payment was not. If you borrow a book from a library, it’s temporary. You can’t keep a copy for your own personal use. Google made a number of copies of each book—times millions. And they’re way past overdue. Just as a few years ago, some banks proved too big to fail, Google has, so far, apparently been too big to punish. Does the Authors Guild want to shut down Google Books? No. A resounding no. We did not ask the court to shut down Google Books, we simply asked it to require Google to get permission from authors and pay them for the scanning and use of their works. Doesn’t Google say this is “fair use”? After all, it doesn’t display full copies. That is Google’s self-serving legal argument, yes, and so far it has persuaded judges who, we believe, are not seeing the big picture. “Fair use” is the exception to copyright that lets people use portions of (and in rare cases whole) copyrighted works for “purposes such as criticism, comment, news reporting, teaching, scholarship, or research.” When deciding whether a particular use is “fair,” courts should take into account at least four separate considerations and weigh them against each other. They are: (1) the “purpose and character” of the use, including whether it is commercial; (2) the nature of work that’s being copied; (3) how much of the work was copied; and (4) whether the copying eats into the potential value of the work that was copied. All these things—and anything else that the court deems relevant—have to be considered independently, and then weighed together to make the fair use determination. In this case, Google’s use was commercial, the entire works were copied, and the market to bring back out of print books is completely devalued. But a lot of fair uses have a commercial element to them. Surely you can’t be saying that Google’s for-profit status prevents it from making fair uses? We’re not saying that at all. Commerciality is just one of the factors to be considered. Then, the court went on to let this first-factor finding color its discussion of each of the other factors—essentially turning a multi-factor test into a one-factor test. The court did not consider each factor independently, nor did it balance them against each other in light of the purposes of copyright, as required by the law. The multi-factor fair use test has evolved over more than a century and has survived the test of time—for good reason. It does an efficient job of identifying uses that are fair to make without permission. For instance, quoting from a book, criticizing it, or creating a parody of it are all traditional fair uses. But by straying so far from the statute, the Second Circuit reached a decision that cannot be considered fair, especially if you consider the precedent it will set. If Google isn’t charging people to search for snippets in Google Books, or putting ads on the page, how can it be considered commercial? Google didn’t spend millions on scanning these books as a charity project. Again, it did it to have access to all the language in those books, which it used to improve its search engine, allowing it to corner the Internet search market and drive more users to its site, which is based on a model in which visitors equal revenue. Search engines do not make money by charging people for use; they make money by bringing traffic to their sites, collecting data from the users, and selling advertising. Google makes money in all of these ways from Google Books. The fact it has not to date posted advertising on the results pages from searches inside the books is irrelevant. Moreover, since the Second Circuit decision, Google has integrated its book-buying service (formerly accessed as part of Google Play) with Google Books. Google Books is now a transparently commercial service, as we have always predicted would eventually be the case. Why is the Authors Guild taking this to the Supreme Court after it failed to convince so many lower courts? We believe that the Second Circuit court took a myopic view of fair use law in its ruling and that the Supreme Court needs to step in and correct this. In the final analysis, the appellate court’s reasoning turns on its head the Constitutional purpose of copyright law. The Founders recognized that, for the benefit of the public, we need authors who can earn a living, independent of government, academic or other patronage. That’s the purpose of copyright: to benefit the public by enabling authors to be compensated for their work. But the Second Circuit, blinded by the public-benefit argument of Google Books supporters, overlooked the fact that it completely cuts authors out of the equation. Moreover, if this case isn’t overturned, this case will become a rule of law; it doesn’t just apply to Google Books, in other words. The decision will be read by other entities as giving them free reign to digitize books (at least books where the author owns the rights) and create searchable excerpt-viewing services for those books. Other entities might decide to show more of the books than Google currently does, and they probably won’t have the security protections that Google does. As a result, many authors’ books could become widely digitized and available for free on the Internet. Still, if Google Book Search points potential book buyers to your book, shouldn’t you be thanking them? Why should Google have the right to decide how to market books for authors? Authors may have many other more profitable ways to make money from their out-of-print and other books, and they should have the right to make those decisions. Let’s say you put your house on the market and your neighbour decides it would be great to have a party there while you are away, without first asking you. He justifies it by telling you he invited a lot of people and so will help market your house. Not too many people would be thrilled with that, even if it did in fact end up leading to a sale. What Google did is very similar. Google’s seizure of our work (and the courts’ blessing of it) represents a denial to authors of emerging and potential markets for our work. It revokes the promise of the digital age. If Google is allowed to swipe our entire work and profit from it, then so can others, in ways we cannot foresee now. That’s a problem because authors may want to write and create in ways we cannot foresee now, as we find new ways to transform—and profit from—our work. But we don’t need to look to the future to see the harm being done to authors. Even today writers are seeking to bring their out of print works back to market as print-on-demand editions, or e-books—but Google has made a significant amount of many of these titles readily available on the Internet, and for free. The amount Google displays is already enough to satisfy the demands of many readers and researchers, particularly when it comes to non-fiction books. And as libraries start to follow suit, there will be more and more text available from each book. Wide availability of free books—isn’t that a good thing? In the short run, for researchers—maybe. But think about what happens next: people won’t buy nearly as many books. That means all but the highest-selling authors won’t be able to make a living from writing books: many authors will have to take on other work to make ends meet. The result, we hate to say, is that fewer quality books will be written—and that’s a loss to us all. Aren’t most of the books at issue in the case old, and the authors long dead? Many of them are older works, but in publishing, “older” can mean just a few years off the press. When the books are old enough to be in the public domain, there’s no problem with Google making copies. The problem arises with the millions of books that are still in copyright. The current case involves books found in academic libraries where the copyright is owned by authors. The vast majority of these books are out-of-print, meaning the author generally had the right to reclaim the copyright. And as we mentioned above, authors are increasingly looking to republish and retool their out-of-print books and bring them back as e-books or print-on-demand. Google Books interferes with that market, plain and simple. Readers should care because the Second Circuit decision waters down copyright protection, and if it stands, readers could face a culture in which authors won’t be motivated to create serious work, because it is simply too hard to sustain a writing career financially in a climate where anyone can use books without paying for them. Most serious writing, outside of academia, is done by authors who write as a profession—because, like any art, great writing requires a lot of time, learning, and practice. And readers should care because written works, as we all know, contribute immeasurably to the vitality of our culture. How complicated can it be for Google to ask an author permission to use her work? Exactly our point: the rights are eminently clearable. The court refused to acknowledge this point or take it into consideration. For example, our sister organization, the Authors Registry, as well as the Copyright Clearance Center, find authors for royalties from overseas uses with little difficulty or expense. And there are innumerable collective rights organizations around the world who do this all of the time—without much difficulty, and with much less money than Google. On June 17, we posted a statement by The Authors Guild about their new Fair Contract Initiative, in which they would be clarifying the issues in the typical book contract that are unfair to authors. Today The Authors Guild issued their first analysis having to do with e-book royalties, which are substantially lower than the royalties on hardbacks, even though the costs of production and distribution of e-books is substantially lower. It’s worth reading. Here is the text in its entirety. We announced our Fair Contract Initiative earlier this summer. Now our first detailed analysis tackles today’s inadequate e-book royalties. At the heart of our concern with the unfair industry-standard e-book royalty rate is its failure to treat authors as full partners in the publishing enterprise. This will be a resounding theme in our initiative; it’s what’s wrong with many of the one-sided “standard” clauses we’ll be examining in future installments. Traditionally, the author-publisher partnership was an equal one. Authors earned around 50% of their books’ profits. That equal split is reflected in the traditional hardcover royalty of 15% of list (cover price, that is, not the much lower wholesale price), and in the 50-50 split of publishers’ earnings from selling paperback, book club, or reprint rights. Authors generally received an even larger share than the publisher for non-print rights (such as stage and screen rights) and foreign rights. But today’s standard contracts give authors just 25% of the publisher’s “net receipts” (more or less what the publisher collects from a book sale) for e-book royalties. That doesn’t look like a partnership to us. We maintain that a 50-50 split in e-book profits is fair because the traditional author-publisher relationship is essentially a joint venture. The author writes the book, and by any fair measure the author’s efforts represent most of the labor invested and most of the resulting value. The publisher, like a venture capitalist, invests in the author’s work by paying an advance so the author can make ends meet while the book gets finished. Generally, the publisher also provides editing, marketing, packaging, and distribution services. In return for fronting the financial risk and providing these services, the publisher gets to share in the book’s profits. Not a bad deal. This worked well enough throughout much of the twentieth century: publishers prospered and authors had a decent shot at earning a living. From the mid-1990s, when e-book provisions regularly began appearing in contracts, until around 2004, e-royalties varied wildly. Many of the e-rates at major publishing houses were shockingly low—less than 10% of net receipts—and some were at 50%. Some standard contracts left them open to negotiation. As the years passed, and especially between 2000 and 2004, many publishers paid authors 50% of their net receipts from e-book sales, in keeping with the idea that authors and publishers were equal partners in the book business. In 2004, we saw a hint of things to come. Random House, which had previously paid 50% of its revenues for e-book sales, anticipated the coming boom in e-book sales and cut its e-rates significantly. Other publishers followed, and gradually e-royalties began to coalesce around 25%. By 2010 it was clear that publishers had successfully tipped the scales on the longstanding partnership between author and publisher to achieve a 75-25 balance in their favor. E-books now represent 25–30% of all adult trade book sales, but for the vast majority of authors the rate remains unchanged. If anything, publishers have dug in their heels. Why? There’s a contractual roadblock, for one: major book publishers have agreed to include “most favored nation” clauses in thousands of existing contracts. These clauses require automatic adjustment or renegotiation of e-book royalties if the publisher changes its standard royalty rate, giving publishers a strong incentive to maintain the status quo. And the increasing consolidation of the book industry has drastically reduced competition among publishers, allowing them more than ever to hand authors “take it or leave it” deals in the expectation that the author won’t find a better offer. And then there’s the elephant in the room: Amazon, which has used its e-book dominance to demand steep discounts from publishers and drive down the price of frontlist e-books, even selling them at a loss. As a result, there’s simply not as much e-book revenue to split as there was in 2011when we reported on the e-book royalty math. At that time, publishers made a killing on frontlist e-book sales as compared to frontlist hardcover sales—at the author’s expense—because, as compared to today, the price of e-books was relatively high. When we analyzed e-royalties for three books in the 2011 post, “E-Book Royalty Math: The House Always Wins,” we found that every time an e-book was sold in place of a hardcover, the author’s take decreased substantially, while the publisher’s take increased. Since 2011, we have found that publishers’ e-gains have diminished. But the author’s share has fallen even farther. Amazon has squeezed the publishers, to be sure. The publishers have helped recoup their losses by passing them on to their authors. Author’s Standard Royalty: $3.75 hardcover; $2.28 e-book. Publisher’s Margin: $4.75 hardcover; $6.32 e-book. Author’s Standard Royalty: $4.20 hardcover; $2.63 e-book. Publisher’s Margin: $5.80 hardcover; $7.37 e-book. Author’s Standard Royalty: $4.05 hardcover; $3.38 e-book. Publisher’s Margin: $5.45 hardcover; $9.62 e-book. Author’s Standard Royalty: $4.04 hardcover; $2.09 e-book. Publisher’s Margin: $5.44 hardcover; $5.80 e-book. Author’s Standard Royalty: $3.90 hardcover; $1.92 e-book. Publisher’s Margin: $5.10 hardcover; $5.27 e-book. Author’s Standard Royalty: $3.89; $1.92 e-book. Publisher’s Margin: $5.09 hardcover; $5.27 e-book. It’s time for a change. If the publishers won’t correct this imbalance on their own, it will take a critical mass of authors and agents willing to fight for a fair 50% e-book royalty. We hope that established authors and, particularly, bestselling authors will start to push back and stand up to publishers on the royalty rate—on behalf of all authors, as well as themselves. There have been cracks in some publishers’ façades. Some bestselling authors have managed to obtain a 50% e-book split, though they’re asked to sign non-disclosure agreements to keep these terms secret. We’ve also heard of authors with strong sales histories negotiating 50-50 royalty splits in exchange for foregoing an advance or getting a lower advance; or where the 50% rate kicks in only after a certain threshold level of sales. For instance, a major romance publishing house has offered 50% royalties, but only after the first 10,000 electronic copies—a high bar to clear in the current digital climate. But overall, publishers’ apparent inflexibility on their standard e-book royalty demonstrates their unwillingness to change it. We know and respect the fact that publishers—especially in this era of media consolidation—need to meet their bottom lines. But if professional authors are going to continue to produce the sort of work publishing houses are willing to stake their reputations on, those authors need a fair share of the profits from their art and labor. In a time when electronic books provide an increasing share of revenues at significantly lower production and distribution costs, publishers’ e-book royalty practices need to change. In calculating these numbers and percentages for hardcover editions, we made the following assumptions: (1) the publisher sells at an average 50% discount to the wholesaler or retailer, (2) the royalty rate is 15% of list price (as it is for most hardcover books, after 10,000 units are sold), (3) the average marginal cost to manufacture the book and get it to the store is $3, and (4) the return rate is 25% (a handy number—if one of four books produced is returned, then the $3 marginal cost of producing the book is spread over three other books, giving us a return cost of $1 per book). We also rounded up retail list price a few pennies to give us easy figures to work with. Likewise, in calculating these numbers and percentages for the 2015 set of e-books, we are assuming that under the agency model—which is reportedly the new standard in the Big Five’s agreements with Amazon—the online bookseller pays 70% of the retail list price of the e-book to the publisher. The bookseller, acting as the publisher’s agent, sells the e-book at the price established by the publisher. The unit costs to the publisher are simply the author’s royalty and the encryption and transmission fees, for which we deduct a generous 50 cents per unit. Most of us who have ever negotiated a book contract will tell you that these agreements are unfair to authors. Contracts are classic asymmetrical agreements whereby the publisher gets the rights to exploit your writing in all possible manner and in all possible venues for the term of the copyright (life plus 70 years). They have the right to keep you from publishing any other book that they deem will compete against the contracted work. They will attempt to restrain you from showing your next work to another publisher until they have had an exclusive opportunity to look at it and make an offer. They will claim the right to reject the book for any reason and require you to return the advance paid. In exchange, they will give you a teeny bit of money. No wonder authors are claiming that they are better off self publishing. To combat this, The Authors Guild, my favorite author organization, has developed a new program to shine a light on the unfair elements of the book contract. Today they published an outline of the Fair Contract Initiative and describe the areas that they will be analyzing going forward. It’s worth a read. “On May 28 we announced the Authors Guild Fair Contract Initiative. Its goal is to shine a bright light on the one-sided contract terms that publishers typically offer authors and to spur publishers to offer more equitable deals. This is not an abstract issue: today’s contracts directly affect authors’ livelihoods and ability to control their works. As standard terms have become less favorable to authors in recent years, their ability to make a living has become more precarious. Authors are among our more vulnerable classes of workers. Book authors receive no benefits, no retirement income or pension, and there are no unions to protect them. They live or die by copyright—their ability to license rights to publishers in exchange for advances and royalties. While copyright is meant to give authors control of how and on what terms others can use their works, publishing agreements tend to be negotiable only around the edges, and even then only by well-represented authors. “Standard” contracts—the boilerplate offered to un-agented (or under-agented) authors—are even worse than those that most authors with agents or lawyers sign. That’s because agented agreements traditionally start off with the many changes that the agent or lawyer has previously negotiated with a particular publisher. One agented contract we’ve seen includes at least 96 changes from the original “standard” language, plus seven additional clauses and two additional riders. Every one of those changes is a point that the agent has negotiated in the author’s favor. Royalties on e-books should be 50% of net proceeds. Traditional royalty rates reflected the concept that publishing is a joint venture between author and publisher. But despite the lower production and distribution costs associated with e-books, publishers typically offer only 25% of net. That’s half as much as it should be. We think contracts should expire after a fixed amount of time. Publishers may pretend to consider this an unreasonable request—yet it’s precisely what they demand when they license paperback rights to others. Today’s contracts are generally for the life of copyright (meaning they essentially last at least 35 years, at which point copyright law gives the author the right to terminate the agreement). That’s too long. In standard contracts, whether a manuscript is acceptable or satisfactory is often in the “publisher’s sole judgment”; that means a new editor or management can reject a book on a whim and refuse to let the author publish it elsewhere until the entire advance is refunded. This can happen after an author has invested several years of work in the book, foregoing other opportunities in the meantime. Under some contracts, the publisher can even have the book rewritten at the author’s expense, decide whether or not to credit the new author, and maintain its own copyright to the additions and revisions. This is patently unfair. A publishing agreement based on a proposal is not an option, it is a contract to publish and pay, assuming the author delivers. Once upon a time, advances were typically split into two payments: one on signing of the contract, and one on acceptance of the manuscript. In recent years, we’ve seen three-part payment schedules: one-third on signing, on acceptance, and on publication. Now we’re seeing four-part payments: signing, acceptance, publication, and paperback publication. Slower payments shift risk from publisher to author. They also defeat the whole purpose of advances: to enable authors to devote themselves to completing their books without having to take on other work to make ends meet. No author can afford to put his or her entire net worth on the line, but that’s what many authors do when they sign publishing contracts. Authors are asked to assume the risk of suits for infringement or libel. This is true even where the publisher has lawyers who have vetted the book. Investigative journalists are most at risk. Forcing authors to assume the risk of a lawsuit can amount to a restraint on their speech. Publishers’ liability insurance should also cover authors. The author’s share of the risk, if any, should never exceed the total amount of the author’s advance. Authors must be free to write. The non-compete clause—an attempt to restrict the author from publishing work elsewhere that might cut into the current title’s sales—is no longer reasonable in the era of instant publishing. The clause should be simple: only the publisher can publish the current title, long excerpts from it, or a substantially similar work. Anything more is an unfair restriction on the author’s livelihood. Anything that keeps writers from publishing is simply unacceptable. That means option clauses should disappear. 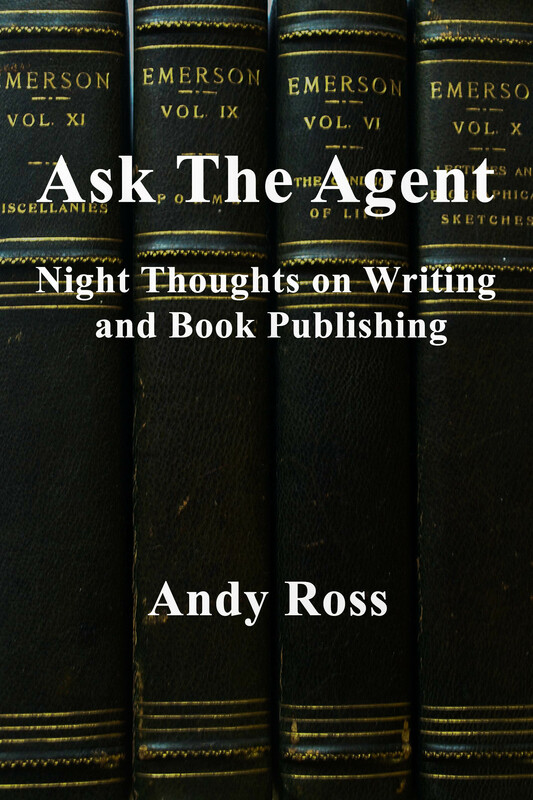 If a publisher wants an option on a future book, it should offer a separate payment for it and a quick decision on whether to offer a contract on it. Today’s standard option clauses often let the publisher delay the option decision until the current work is published. That can keep the author in limbo for years; it’s deplorable. When it comes to the text of the book, the author should have the final cut—that is, no changes in the text should be made without the author’s approval. The publisher should submit jacket flap and advertising copy to the author for approval. And the author should have the chance to approve any biographical material used in the book and/or publicity produced by or for the publisher. Book contracts include a variety of royalty rates for different types of sales. Contracts routinely allow high-discount deals (such as selling a bulk load of books to a big-box store or a book club) to reduce the basis of the author’s royalty from the list price of the book to the much smaller net amount the publisher receives. Crossing the discount threshold from “normal” to “high” can magically reduce the author’s cut by more than fifty percent, giving the publisher a strong incentive to take that step. Why should an author accept this? The above is just a taste of what we’ll address in the coming months. In addition to the standard book contract, we’ll also be identifying unreasonable provisions in self-publishing and freelance journalism agreements. We’d like to hear from you. If a publisher has handed you especially egregious contract terms, please let us know. You can contact us here. But if your contract includes a non-disclosure clause, please don’t violate it. By the way, we don’t like those clauses, either. Two very thorough, compelling, and eloquent letters were sent to the Department of Justice today criticizing their lawsuit against Apple Computers and the book publishers. Hundreds of letters have been sent by people and organizations in the book business criticizing the DOJ for attacking the victims in their misplaced efforts to oppose monopolistic practices in the industry. 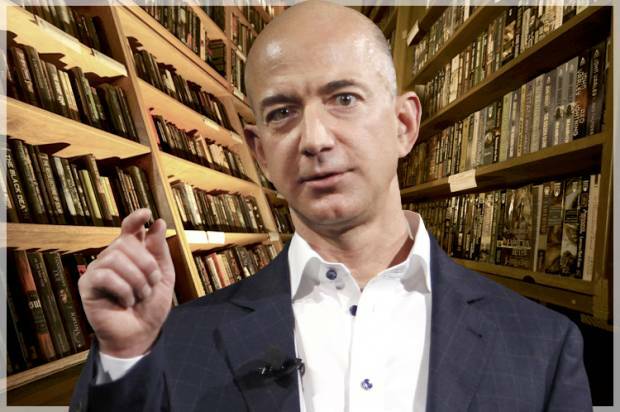 Letters have been prepared by trade associations, publishers, authors, agents, and booksellers, all sending the same message: this lawsuit will do nothing but enhance the market power of the only entity that poses a monopolistic threat to the book business, Amazon.com. I suppose we owe a debt of gratitude to Amazon for bringing together parties who have historically been wary of one another. Chain and independent bookstores are united on this as are almost all publishers and, with few exceptions, authors and agents. The Authors Guild, the major organization representing book authors, and Bill Petrocelli, owner of Book Passage (and a leader in the historic efforts by independent booksellers to stop anti-competitive practices) have made some new and telling points. Check out the complete texts of these. Bill Petrocelli’s letter and The Authors Guild letter. “The Guild had launched Backinprint.com in the summer of 1999, allowing authors for the first time to republish their out-of-print books without incurring any set-up costs. (The Guild had negotiated an agreement with on-demand publisher iUniverse to prepare the books for on-demand printing.) The service was an immediate hit with members; within two years, more than 1,000 titles were available to readers again, including books by Mary McCarthy, Thornton Wilder, William F. Buckley, Jr., and Victor Navasky…. ” With the launch of the Kindle Fire, Amazon’s drive to acquire exclusive rights to books, by acquiring publishers with substantial backlists and other arrangements, has taken on a new urgency. ” To put the issue in its starkest form, does a shaky claim of collusion under Section One of the Sherman Act take precedence over a clear violation of Section Two of that same act? I am aware that the DOJ has characterized the actions of the publishers as a per se violation, but the invocation of that label should not be a substitute for clear thinking. The creation of a monopoly in the book business is a far more serious offense than the claim of collusion alleged in this case, because it creates a permanent, anti-competitive situation that is extremely difficult to dislodge. And this leads to the question of the role of the DOJ. What is the Justice Department doing in this case? Why – of all the potential cases it could be pursuing – did it decide to take this one? Amazon. com – the supposed aggrieved party in this case – is one of the largest, richest companies in America. It is perfectly capable of protecting its own interests and asserting any claims it might have in the courts. So why, then, has the Justice Department decided to align itself with this monopolist? The actions of the DOJ are especially galling in light of the fact the Justice Department and its sister agency, The Federal Trade Commission, have turned a blind eye to anti-competitive activities in the book business over the last forty years. There has been substantial evidence of anti-competitive uncovered practices uncovered by lawsuits initiated by Northern California Booksellers Association and by the American Booksellers Association. There were two investigations conducted by the staff of the FTC, but in both cases the recommendations of the staff were turned down by the Commission itself. The Justice Department is certainly aware of these investigations, because Christine Varney, the immediate past head of the Anti-Trust division, was a Commissioner on the FTC at the time its investigation was curtailed.